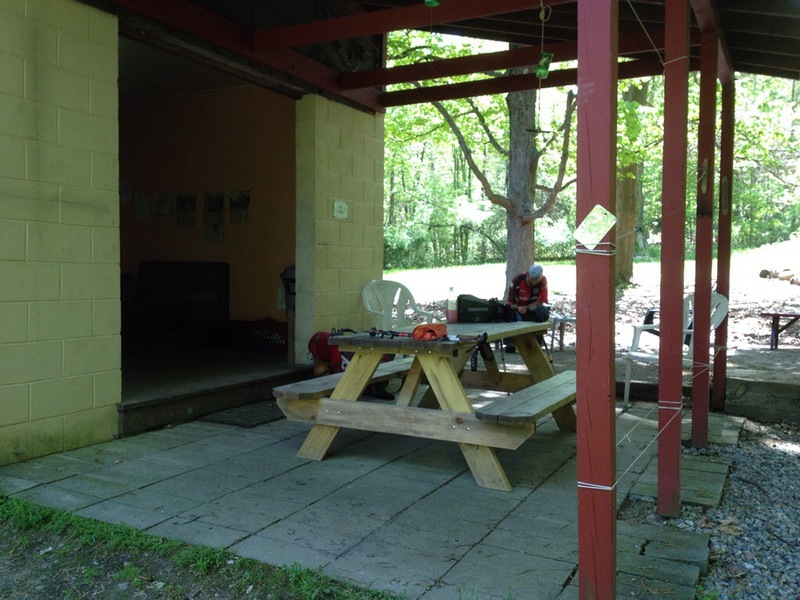 Morgan Stewart Shelter, N.Y., AT NOBO mile 1,433.9, Sunday May 18, 2014 — I promised this blog would be about a rude pizza guy. It is. You’ll see. But first a word from our sponsor. Long distance hiking definitely helps sooth the mind, but Hike for Mental Health is more than that. Like bike rides, marathons and similar challenges. Hike for Mental Health hopes to use long distance hiking as a means to raise money in support of much needed research in the field. As a former senior administrator at one of America’s leading research universities, I can attest to the criticality of funding for academic research. Without the creation of new knowledge, problem solving would grind to a halt. So it is with mental health. Here’s how hiking fits. The Appalachian Trail was conceived as a way to get people from the urban areas into the wilderness. Its visionaries never imagined thru-hiking as a component of the trail experience, but one guy did. Earl Schafer was the first thru hiker in1948. He was “walking off the war” (WW II) in terms of his own experiences and to cope with the tragic loss of his closest boyhood friend in that war. He needed the time, the space and the opportunity to commune with nature to help himself cope. In my own case, I needed a way to decompress from a highly stressful career and do some unfettered thinking about the future, those I love, and my personal successes and failures. To date, hiking has been marvelous medicine for me, and this blog is part of that process. I asked Hiking for Mental Health to put its donate button on the right hand side of my blog page for the purpose of trying to help a good cause. When this hike is over, I plan to click on it and make a small difference. I hope you will too. It was around 42 degrees this morning at wake up time. My tent was cosy and I hated to abandon ship. We were up and out of the park, walking briskly in our short sleeve shirts to stay warm, before almost anyone else was awake. 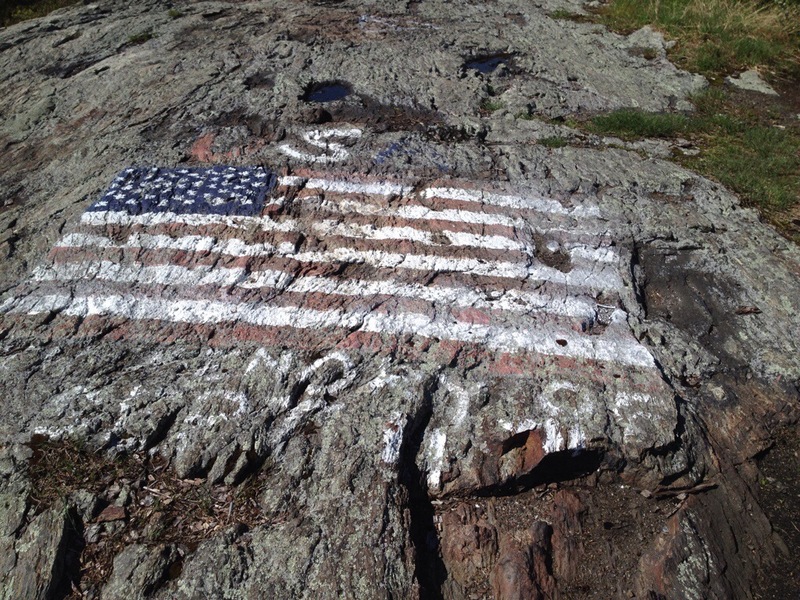 We hit the 9-11 memorial rock painting within minutes. Later we lounged for lunch at the exquisite RPH Shelter. If it hadn’t been 24 miles away, we might have stayed there instead of Fahnestock Park. Everyone was in a great mood and looking forward to the pizzeria and deli where the AT passes 4/10ths of a mile from the highway to Stormville, NY. We’d be there around 2:30 pm and could walk the extra distance off trail in time for a tasty late lunch. Our anticipation was high! 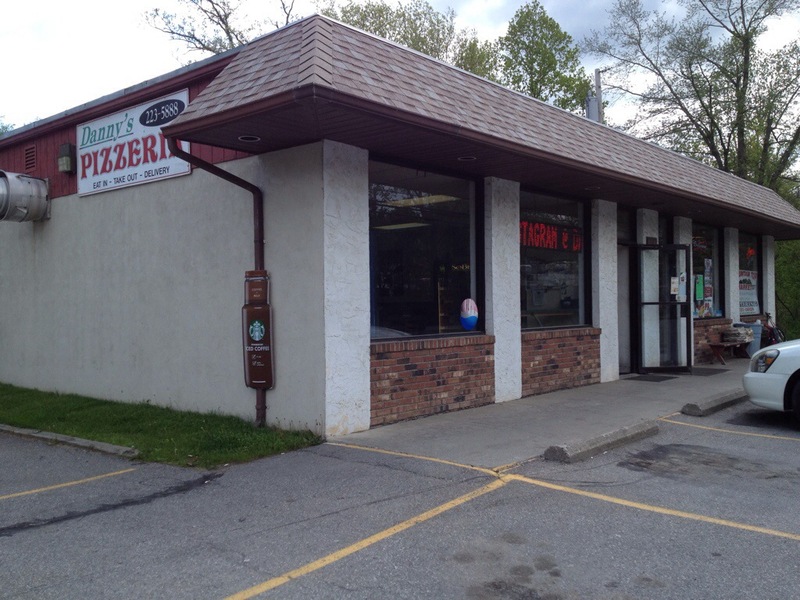 Upon inspection, the deli was more of a convenience store with no seats so we decided to eat at the pizzeria. Swayed and I entered and ordered a $26 large pie to split between us. Then Swayed made a simple request and asked where the restroom was so he could was his hands before eating. The guy behind the counter said they didn’t have a restroom, but Swayed could use the spigot on the side of the building. I went on red alert. In NY, as most states, any restaurant with tables must proved a restroom for customer use. I scanned the small establishment but could see nothing obvious. Spigot… On the side of a building… It has a certain historical ring to it. 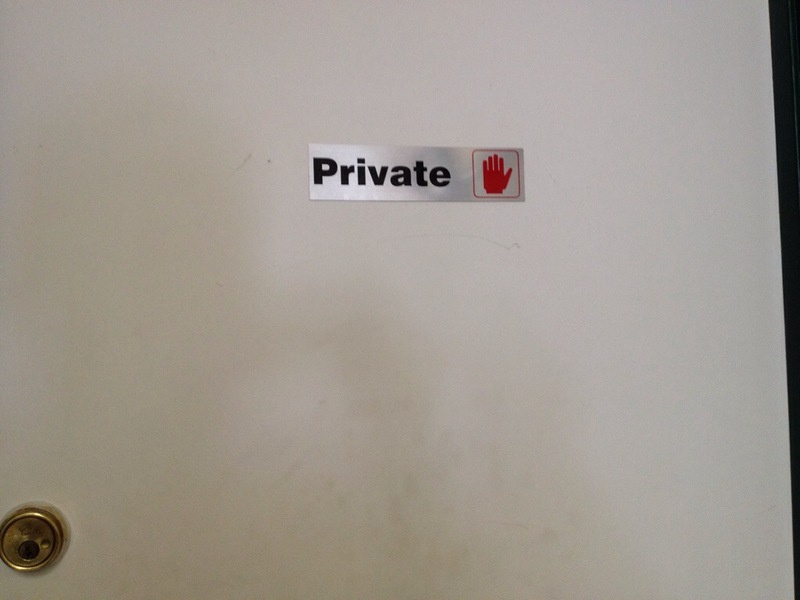 As we were bulldozing our way through the pizza, we noticed customers using a room marked “private” from which noise sounding strangely like flushing emanated. Bingo! This guy doesn’t like hikers. I didn’t care much for his tasteless pizza either, but I got the picture. It works like this. The vast majority of thru hikers are kids in their early 20s. Many are just out of college. Some are drop outs. Others never went. They stereotype into three groups, only the smallest of which is positive. The other two groups act and sound either like Beavis and Butthead or characters from the 1983 Nicholas Cage “Valley Girl” movie with the upward inflection at the end of every sentence. They have little money, outdoor expertise or sense of personal hygiene. The hiker trash stereotype is derived from their example and behavior. In dozens upon dozens of conversations with hostel owners, shuttle operators and restauranteurs, almost no one has had much good to say about them. Swayed and I have met our share and concur. It’s been a constant topic of conversation since we met. Back to our pizza guy. This jackass cannot differentiate between a couple of obviously polite middle age, affluent and educated folks and the boneheads. Worse, he’s breaking the law. Just insert any racial group into his equation. I posted photos and a notice on the AT hiker class of 2014 Facebook Page. I noted that the deli is great, so I hope everyone goes there. Tuesday sometime we should reach the very affluent and reputedly hiker unfriendly little burg of Kent, CT. The guidebook says hikers are “unwelcome” at the laundrymat. Guess who’s gonna test that one? This could get interesting. Stay tuned. ‘Just insert any racial group into his equation.’ You hit that one on the head. I will be watching for your next encounter at the ‘unwelcome’ laundromat. Yes, hiking IS good for mental health. 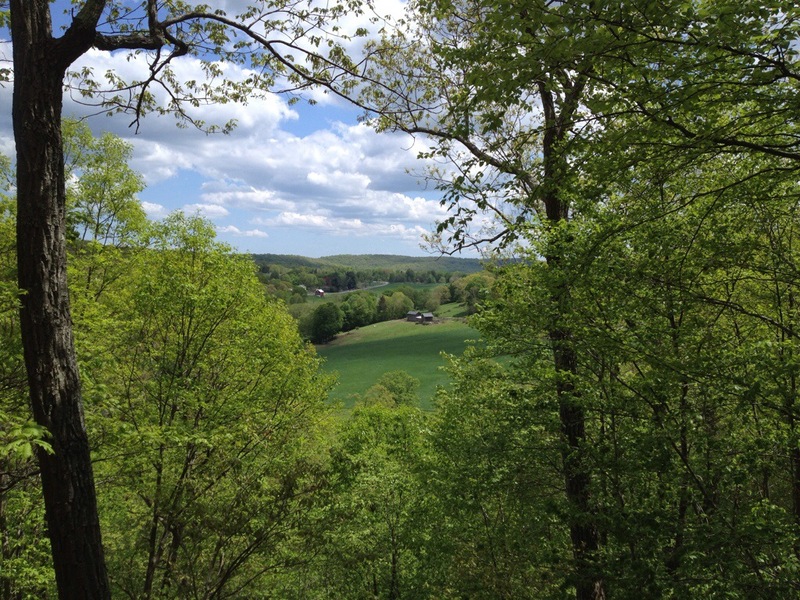 Hiking and quilting and writing (not necessarily in that order!) have helped me enormously over the last couple of years. Jim, I only meet you once professionally just last year, but I so enjoy your stories along the trail and you wonderful writing style. Thanks for keeping us posted and educated and breaking the tedium of those of us that remain desk bound for now. Carry on! Jane, your time is coming. The trail always waits. Sisu, Hiking for Mental Health sounds like a great cause. I know I’m certainly looking forward to my planned thru-hike, hopefully later this year and early next, as a means of restoring my own mental health. I won’t go into details here, but I suffered an awful tragedy last year with the sudden loss of my 20 year-old son. Long-distance walking, which I do locally now and which I plan to transform into an AT thru-hike later, is about the only way I’m able to cope with the tragedy. Will gladly make a donation and support the group. Sorry to hear about the rude pizza guy, but not too surprising I guess. I am truly sorry for your loss. You’ll notice many memorials to young hikers all along the trail. One can ‘t imagine the grief behind them. I have a couple of other rocks in my rucksack as well. Long distance hiking helps. Hi Jim, A question off this particular topic – when do you think you’ll be in Maine?